Hand-grained, hand-colored, skins – what they look like. Before and after (in reverse order). We hand-color vegetable-tanned, open-range leather (a by-product of the food chain) in our studio with Noodler’s Fountain Pen Ink. (Please call to discuss color and materials options.) Each of these hides is hand-grained and softened by our repeatedly folding the grain’s surface to and fro many times in multiple directions. 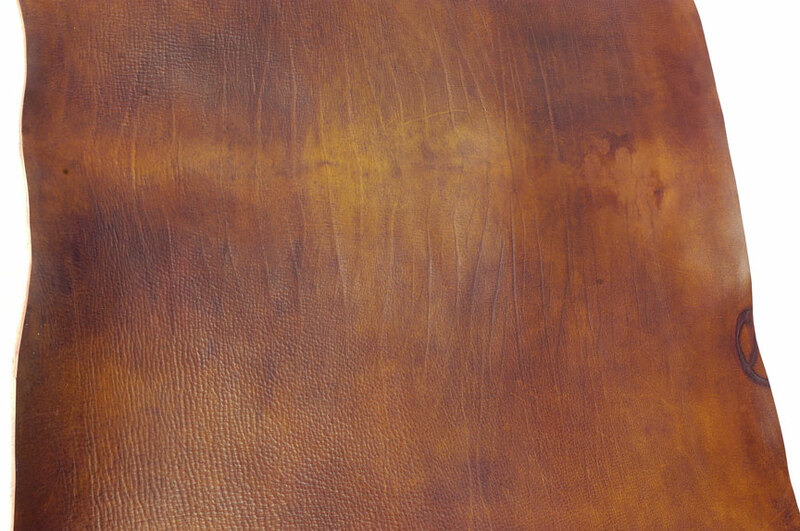 In addition to hand-graining and hand-coloring this leather, we have created a proprietary finishing process which includes layering solvent-free, cosmetic quality, natural oils and waxes to assure the colorfastness and enhance the natural characteristics of the skins. The finished skins have an ancient look because the manner in which the leather is tanned and the way in which we have finished them is … ancient … open range, grass fed cattle, bark-tanned skins, water based hand-applied colors, hand-grained surfaces, hand-finished details – this is the way natural skins were hand-dyed and finished in the centuries prior to industrial production: one at a time, each made to order. Please make an appointment to visit our virtual showroom to learn more. 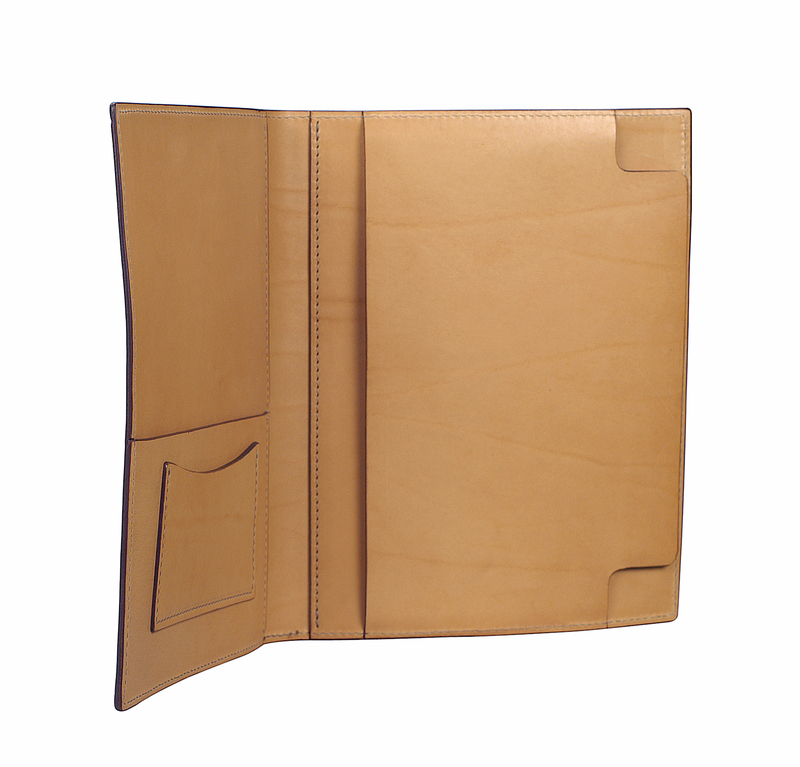 An alternative to our Insiders® document flow organizers: our custom-sized book and journal covers. 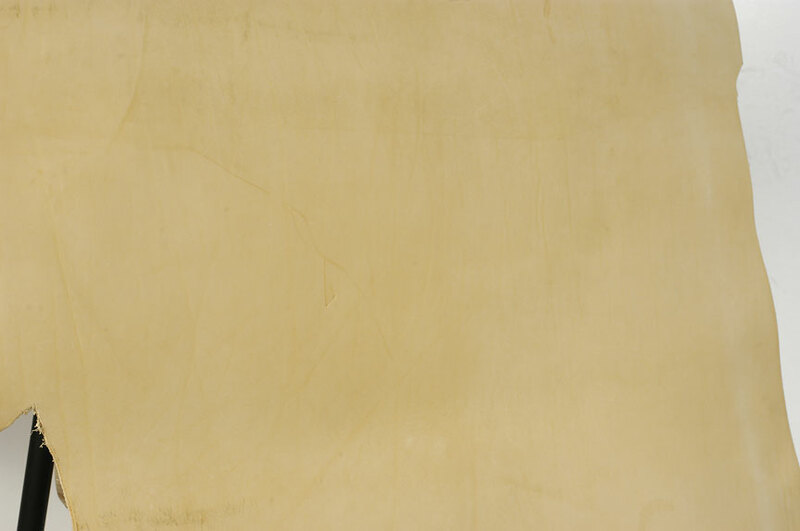 The one portrayed here was made with natural leather hand-grained and hand-colored in our studio. Please call to discuss color and leather options. Please click on image to see details. Please make an appointment to visit our virtual showroom to learn more.